Stunning red satin shoe, leather lined & leather insole with a red satin bow detailing at the ankle by Menbur, Spain. 9cm covered heel & padded insole. 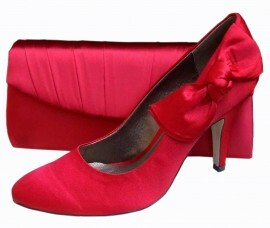 A matching clutch bag is also available.